Holidays are getting more and more predictable. The classic weekend break of heading to Spain, Portugal or France and just relaxing there, drinking alcohol and eating local food might be entertaining the first couple of times, but sooner or later, you’ll want something more personalized, convenient and ultimately, down to earth. Sirior Bach Caravan Park is one of the most beautiful and luxurious locations for luxury lodges in North Wales. 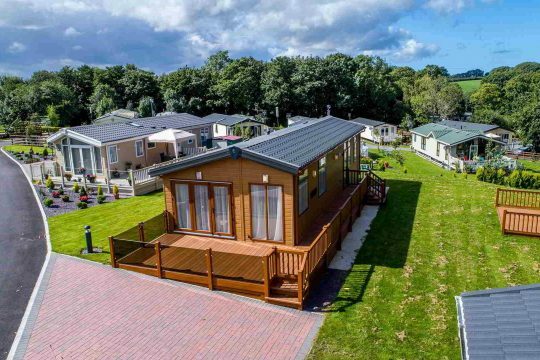 With over 120 caravan bases across 19 acres, there’s something for everyone and it’s situated in a prime location that is close to generous gardens, excellent local attractions and breathtaking views. You can enjoy the peaceful countryside with its fantastic hiking routes, leisurely walks and wonderful coast. Alternatively, you could head out of Sirior Bach Caravan Park and go to the local attractions in North Wales. From the Sun centre in Ryhl to the Anglesey Sea Zoo, there’s plenty to do locally and it’s extremely easy to get to the closest local attractions. From castles to gardens and theme parks, there’s something for everyone. Why own a luxury lodge in North Wales? But why should you invest in a luxury lodge in the first place, and what sets it apart to B&Bs and hotels in North Wales? It might seem expensive on the surface, but take a look at the advantages you get and it’ll start to make sense. In fact, after reading these benefits of owning a luxury lodge in North Wales, you’ll wonder why you haven’t invested in one yet! Convenient holiday location – Unlike having to book a hotel room for a set period or go to a different location each time for your holiday, having a luxury lodge means you have a static location to go everytime you take a holiday. It also means you don’t need to plan ahead months in advance and you can simply drive to North Wales, show up and relax in your private luxury lodge. 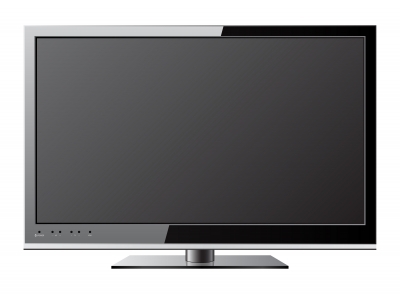 Unrivalled comfort – Forget about poorly-maintained hotel rooms or B&Bs with rubbish service. The luxury lodges for sale in North Wales are all extremely luxurious, have plenty of comforts and local facilities, and they’re designed to be modern and spacious. Forget those dinky caravans you knew when you were young–these quite literally small homes with en-suite bathrooms, multiple bedrooms and full kitchen ranges. Fantastic views without paying a premium – Unlike having to book a seaside view at a hotel, you’re going to get beautiful views no matter what holiday lodge you pick in North Wales. Plenty of local amenities and attractions – Whether it’s quiz nights and bingo games or theme parks and fancy restaurants, North Wales has it all. You’ll even find local supermarkets and stores that are perfect when you want to do a little bit of shopping. More flexibility – Since you’ll own a luxury lodge in North Wales, you can do everything from visit every weekend to stay for several months or even rent it out to other holidaymakers when it’s not in use. There are also pet-friendly lodges, meaning you won’t need to leave your pets at home or arrange to have them cared for. As you can see, there are plenty of advantages to owning a luxury lodge in North Wales. There are so many activities nearby, plenty of entertainment to be had and it’s such a convenient holiday location that you’ll be surprised at how easy it is to get in and out of your private holiday lodge. What kind of facilities will I need? 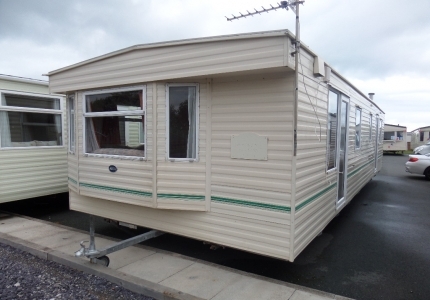 There are many different caravan parks and they all carry different amenities. Some have loads of local stores and shops nearby while others are fairly barren. It’s always a good idea to check what type of amenities and facilities you need before you invest in a luxury lodge at a caravan park. When will I be using my luxury lodge? If you’re not planning on using your luxury lodge for a long period of time then you always have the option of renting it out to other holidaymakers. In addition, you might benefit from a short-term lease instead of a long-term one. This will help you save more money but still offer you the unrivalled freedom and comfort of having a luxury lodge all to yourself. What am I looking for in a luxury lodge? There are many different types of luxury lodges available. Some offer ample parking space for guests, some are compact but luxurious, and others are ultramodern and come with all the latest gizmos and gadgets that you can think of. How can I finance my luxury lodge? If you’re going all-in and investing in your own luxury lodge, then it might be worth taking a look at what financing options are available to you. This will give you plenty of financial freedom when making an expensive purchase like a luxury lodge. If you rely on internet access a lot then you may want to check if your luxury lodge has access to the internet or a Wi-Fi connection to help you stay connected with the rest of the world. Having internet access also allows you to continue working if you’re able to work remotely, and it’s fantastic for sharing pictures and videos on social media. If you’ve successfully answered these questions then what are you waiting for? 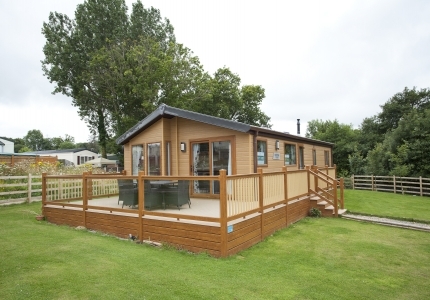 Sirior Bach Caravan Park has plenty of luxury lodges for sale in North Wales. However, we also offer lower-end models for people who are still getting started with luxury lodges. Come and take a look at our fantastic selection of luxury lodges and also the local entertainment and amenities we have on offer–you won’t be disappointed!